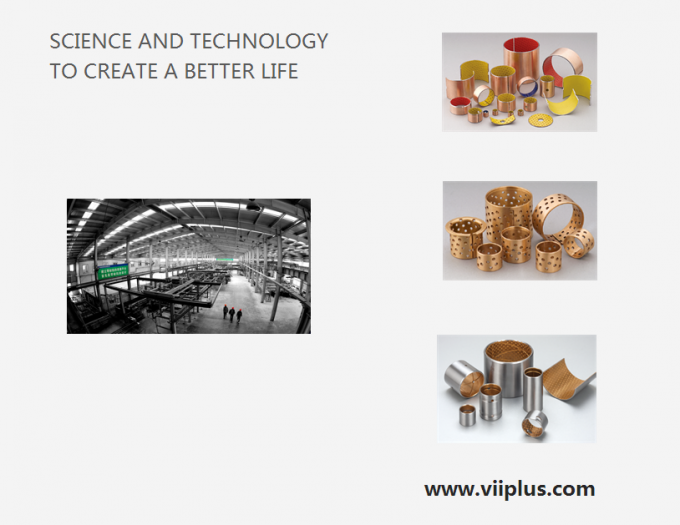 VIIPLUS rolled (wrapped) bronze bushings is perforated for better lubrication and longer performance. 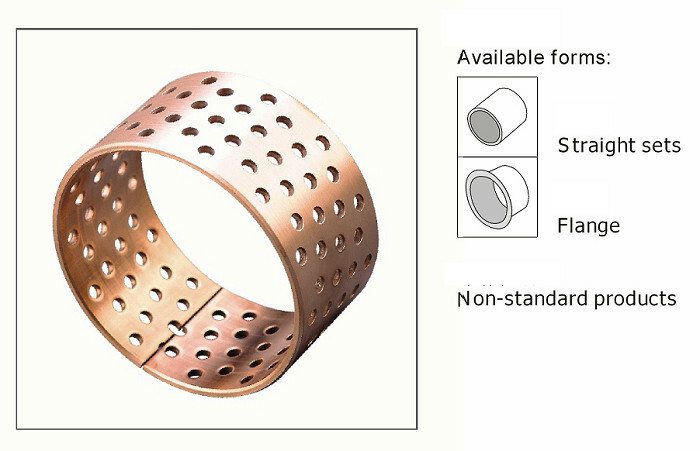 The holes provide extra lubrication storage which extends the lubrication maintenance intervals. 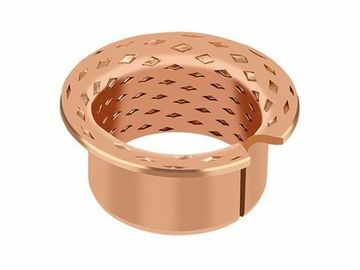 They also serve as safety areas that capture debris that may find its way into the bushings and shaft during operation. 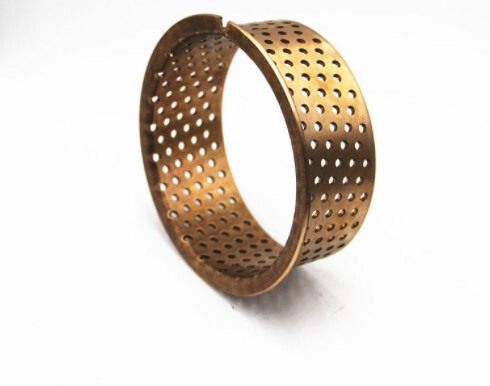 Perforated bronze products are available as sleeves, flanges and plates and are produced in inch and metric sizes. 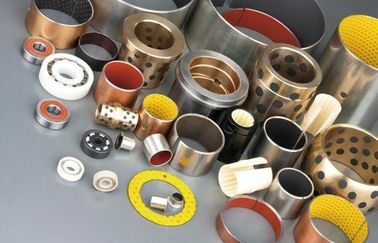 Typical applications include material handling, hydraulic cylinders, lifting equipment and agricultural machinery. 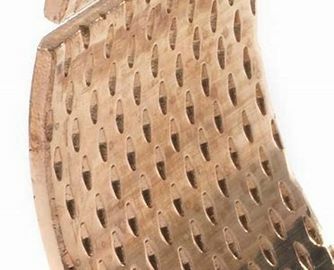 High load capacity and stability at low abrasion. 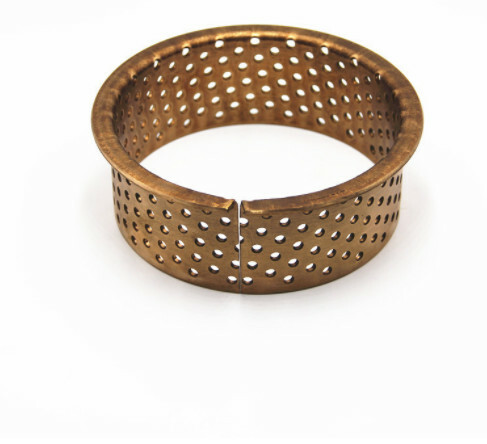 Because of perforations lubrication clearances are reduced to a minimum! 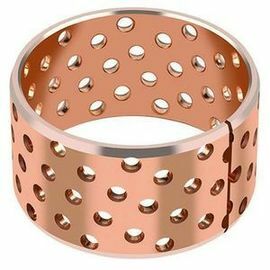 widely applied in hoisting machines and other construction machines, automobiles, tractor, trucks, machines tools and some mineral engines.